Paddle along any Maine river or pond and you'll surely see camps adorned in lattice porch trim. These crisscrossed wooden strips take new shape in Furniturea's Lattice Chair with upholstered seat. 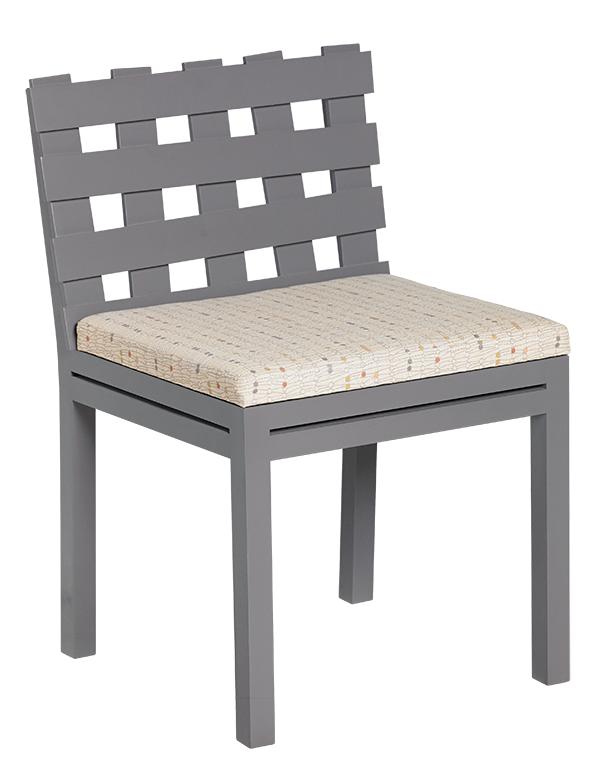 This iconic piece offers extra seating and innovative style. 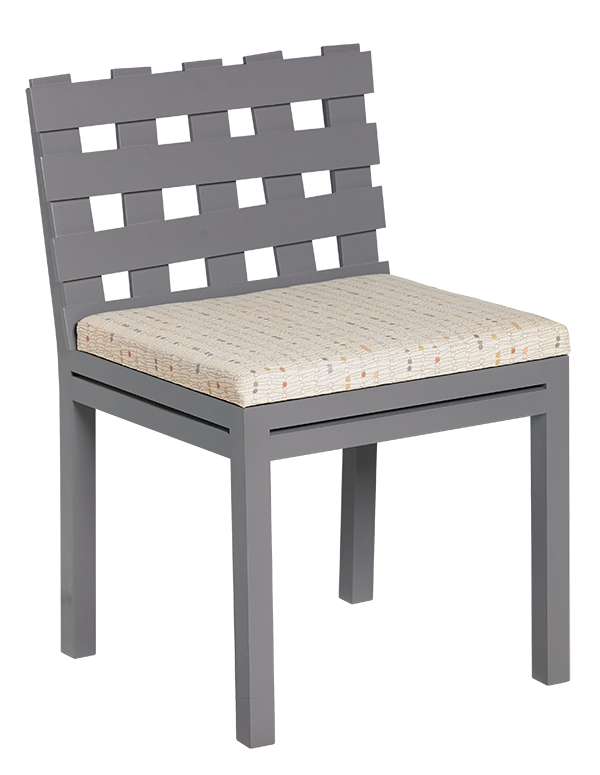 Shown in Gunmetal and Knoll fabric.